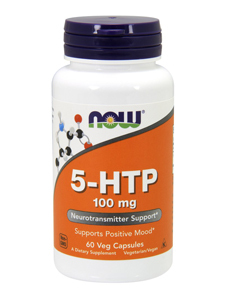 5-HTP is a precursor to serotonin & works essentialy the same as does tryptophan, and in fact is one chemical step closer to serotonin. * Read extensively about tryptophan in Dr. Slagle's book, "The Way Up From Down." Tryptophan was used by millions of people for many years & is safe. We recommend using only domestic suppliers.It is available by prescription from many compounding pharmacies. Equivalency to tryptophan: 500 mg tryptophan equals 100 mg 5-HTP. Blood pressure increase only in those who already have high blood pressure of a fluctuating type.